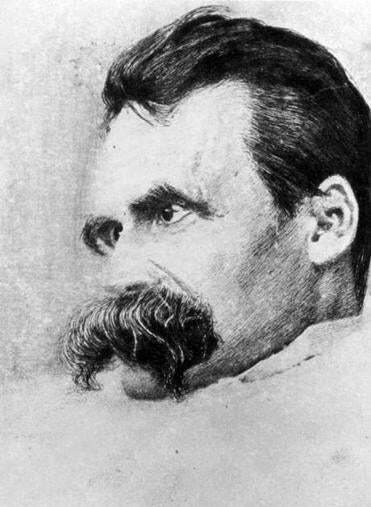 FRIEDRICH NIETZCHE What car service would an ubermensch use? Startup Uber, the app-based car service, has quickly become an international, multibillion-dollar transportation behemoth, challenging conventional taxi companies in cities around the world. As it has, puns highlighting a certain former line in the German national anthem have been popping up in publications from New York magazine to the BBC’s website. But that lighthearted meaning is a new one. “Uber” has traveled a long way in English, starting with Nietzsche and along the way touching Superman, the outsize ambitions of the 1980s, and online gaming. And as the puns prove, 130 years of not-entirely-benign word linkages are not shed so easily. Although Nietzsche himself disavowed anti-Semitism, the Nazis adopted the concept of the “übermensch” as representing their ideal of the Aryan master race. For a while, “superman” had a strong pull on the Anglo eugenicist imagination, too. In the British Eugenics Review in 1909, Maximilian Mügge wrote that Nietzsche would help inspire men to “an ideal of a race of supermen, as superior to present mankind...as man is superior to the worm.” Then came Jerry Siegel and Joe Shuster’s comic “The Reign of the Superman” in 1933. Soon Superman was a hero battling Nazis and delivering supplies to American troops overseas, and the word lost its association with racial perfection. In the 1950s, uncomfortable with the vision of the Ubermensch of Steel, Nietzsche’s English translators started using “overman” instead. Then came the very decade of the uber-climber—the 1980s. Suddenly it was great to belong to, as one 1985 Chicago Tribune article quotes the author of “The Preppie Handbook” calling them, “the generation of the Ubermensch and Ubermenschette.” The ’80s was a time of intensifier inflation—“super,” “ultra,” and “mega” also got swept up in the madness. As the overclass became something to aspire to, “uber” lost most of its associations with Hitler or racial purity. The Washington Post’s Curt Suplee described “uber-swag” and an “uber-caste party,” as in super-duper-upper-class, in 1983. “Porsche uber Alles,” read a proud slogan at the 1985 Porsche Club National Conference, according to the L.A. Times. Over the next 20 years, “uber” largely ditched its umlauts and italics, and its meaning broadened. Uber and super are now often used interchangeably, both as modifying adjectives or adverbs and as prefixes (“ubermodel,” “ubermillionaire”)—uber perhaps retaining a bit of extra Prussian oomph. The word also moved online, describing serious skill or intense evil in online games, according to Daniel Kutz, a doctoral student at Indiana University Bloomington who writes about online language, as in an “uber-boss” in the game “Diablo III,” or “ubers” (high-level opponents) in Pokémon games. This kind of verb-ification of a brand name is “the holy grail” of marketing, Paul Parkin of Salt Branding told me. But it also brings some risk: With Uber becoming almost a generic term, the company is the most obvious target for anti-ridesharing anger. Its success has triggered regulatory challenges and lawsuits in many cities where it operates, including a June lawsuit in Boston accusing the company of exploiting its drivers. As Uber expands into Europe and Asia, its name could prove fateful. For observers, it’s all too tempting to bring the word back to its roots, and connect the company with past uber-lords who also sought “disruption” on a global scale. Correction: An earlier version of this story incorrectly identified Daniel Kutz as a professor and misstated the name of the university where he is affiliated. He is a doctoral student at Indiana University Bloomington.